I've been kicking this around in my head for awhile and I think it's finally time to pull the trigger. 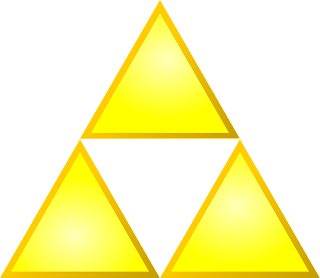 I'm going to work my way through the Legend of Zelda series and write up posts as I go. This is obviously based on my Final Fantasy project where I played every mainline game all the way through and wrote up impressions and reviews along the way. I'm not doing anything that in-depth this time. There are some Zelda games I've barely touched and some I've beaten many times and just don't feel like going through the motions again. There are also a few entries in the series that I just flat-out don't like. So this is a lite version of what I did for Final Fantasy. I'm at least going to sample each game and play it for awhile. I already know there are a few that I will bounce off of pretty quick. But, there are also some that I never truly gave enough time to and I hope that some of those end up hooking me to the point where I play them through entirely. I also have some favorites from the series that I'm really excited to go back and play again. This gives me a good excuse. I anticipate the first few will be very quick samples and posts but after I reach A Link to the Past I'm going to dig deeper. Just for the record, before I start, I should let you know that my favorite Zelda games to date are Wind Waker (especially the HD remaster) and A Link Between Worlds. I'm interested to see if those opinions hold up as I work my way through the series chronologically. Before I start, I'm curious... what are your favorite and least favorite Zelda games?